June has gone by so quickly don't you agree? It's also the month that marks the start of three things: Back-To-School, Rainy Season and Dry Skin. Yes, you read it right, dry skin my loves. Blame it on the elevated levels of humidity, grime and pollution that the rainy season brings! Good thing Ardent World Inc. developed malunggay-based skincare products, known as Moringa-O2 Malunggay that can keep the skin moisturized and nourished throughout this rainy season and all-year-round. What I particularly love about this set are the Moringa-O2 Malunggay Room Mist and the Moringa O2 Malunggay Herbal Lotion. I immediately tried the room mist then the lotion and it's definitely worth sharing to all of you just how much I love them! I've always been a big fan of Citrus and Green Tea scent. I am not the flowery or fruity type of person. That's why I love Moringa-O2's Room Mist! It's scent is very relaxing and refreshing at the same time! It gives any room a pick-me-up feeling. Two sprays are enough to make a regular-sized room smelling good! Works well in the rest room especially after my children (or anyone for that matter) poop. When I applied the lotion on my skin, there's no exaggeration when I tell you that you wouldn't need to apply a cologne to keep you smelling fresh! I couldn't stress how I love the green tea scent so much and I get just exactly that from Moringa-O2 Malunggay lotion. Makes you think, "Malunggay pala could smell THIS GOOD?" Plus points for me are: it's non-greasy and it dries quickly on my skin. It's even recommended for dry and sensitive skin, for itchy skin, aging skin, and skin asthma and Keratosis Pilaris because it has Malunggay, Olive Oil and Sunflower Oil which are rich in multi-vitamins, anti-oxidant and minerals which deeply nourish and moisturize the skin. Moringa-O2 Malunggay Skincare Line: Herbal Soap, Facial Toner and Lotion. Practical, Affordable and Natural! Smells Really Good! Going back to what I was saying earlier about the relation of the rainy season to having dry skin, let me give you some skincare tips so you could prevent the flaky skin from happening, using the Moringa-O2 skincare line. Cleanse. 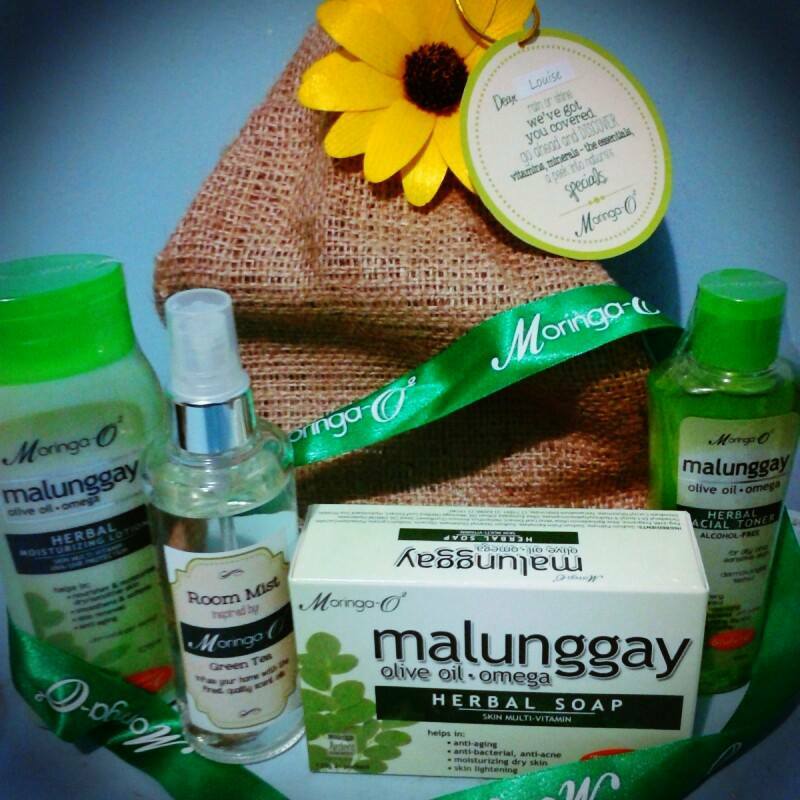 Using Moringa-O2 Malunggay Herbal Soap is made of natural ingredients that cleanse and nourish the skin without stripping its protective oils. It is also anti-bacterial and anti-acne. Tone. The facial skin tends to get oily during the humid weather causing breakouts. Toners such as the alcohol-free Moringa-O2 Malunggay Herbal Facial Toner cleanses residual dirt, helps minimize pores and prevent breakouts. Moisturize. Use Moringa-O2 Malunggay Herbal Moisturizing Lotion to keep your skin moisturized. It also has UVA/UVB protection for everyday sun protection. 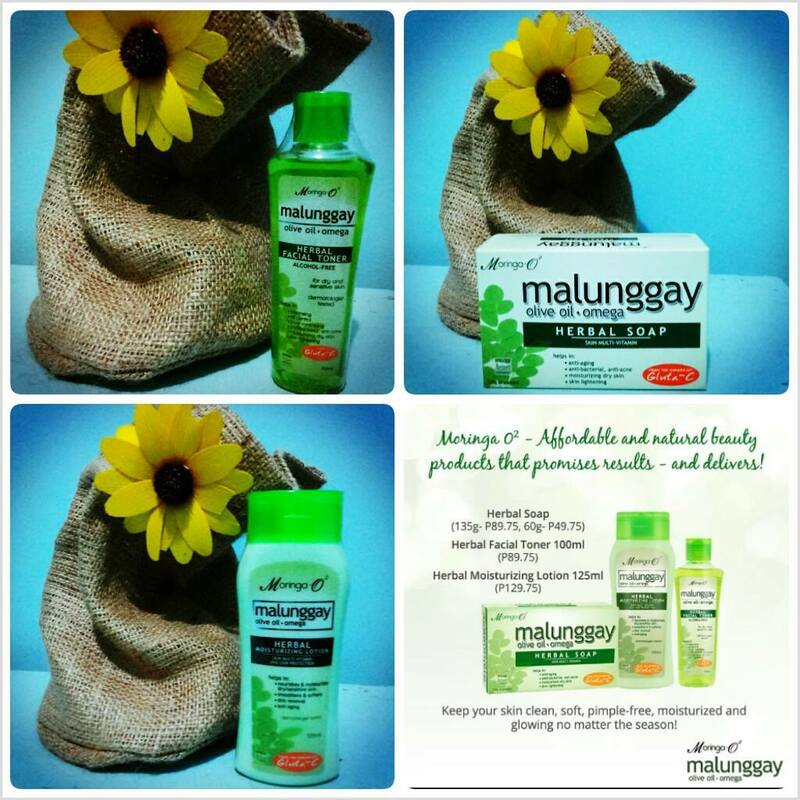 Moringa-O2 Malunggay products are available in leading supermarkets, department stores and drugstores nationwide.